This is our top of the line dash cam that includes a mobile DVR and 2 high definition dash cameras with enhanced night vision. If you are an Uber driver or Lyft driver this is the best investment you can make. This will record everything you point the camera towards including audio. In the past Taxis would pay thousands of dollars for a system that would be too cumbersome to operate. This dash cam will broadcast live images to your smart phone and also record video to the included DVR. If there is a clip you need to go back to, it’s easy to text or email it to whoever needs to see it. The included free app will make it very simple to browse your video history so that you can find any incident within seconds. This system comes with a cigarettes adapter and will work right out of the box. For those of you who have a person vandalizing your car at night this is the best product for surveillance. As long as you’re in WiFi distance you can have a live feed directly to your smart phone or tablet and you can catch those “evil doers” once and for all. This system will save all the data on the included DVR and you can always download everything that happens to your smartphone or tablet. You can also set it to record only if there is impact to the vehicle so it would only be used in case of a crash there are a lot of easy to use setting in the app that will help you make this the perfect dash cam for your car. 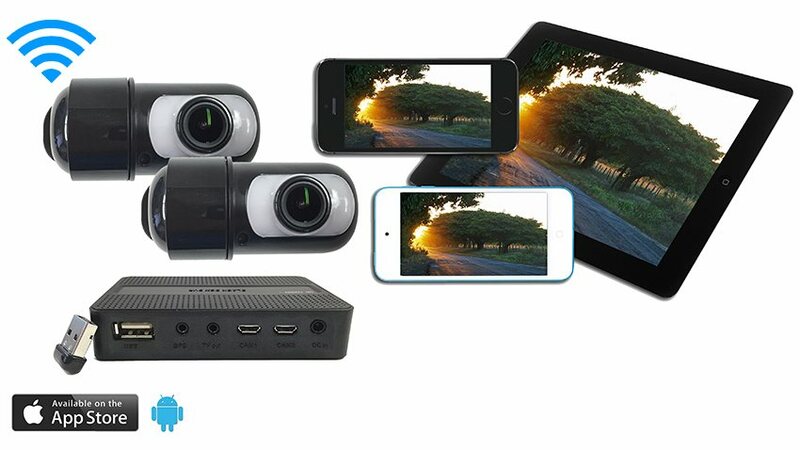 As for the 2 dash cams that are included you can place them anywhere you want in the vehicle they have reversible lenses that will allow you to put facing forward of back, they also have the best military grade night vision on the market. The cameras are very easy to install they use standard USB cables that are included with the purchase. Installation usually takes about 15 minutes.